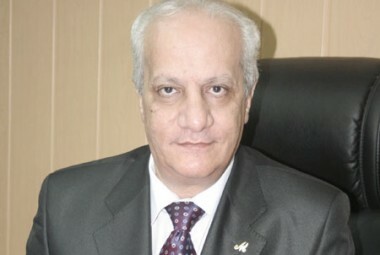 Ibrahim said that the Ministry’s revenues decreased by 35% from EGP 1.273bn during the 2009-2010 fiscal year to EGP 772m during the 2010-2011 fiscal year. Minister of Antiquities Mohamed Ibrahim spoke to Al-Borsa Newspaper about difficulties faced by his ministry and future plans. A shortfall in revenues over the past three years has pushed the Ministry of Antiquities to look for new sources of funding for current and future projects, said Minister Mohamed Ibrahim. Ibrahim’s tenure has been burdened by a legacy of debt, decreased rates of tourism, and attacks against landmarks and artifacts seen throughout the country. Ibrahim said that the Ministry’s revenues decreased by 35% from EGP 1.273bn during the 2009-2010 fiscal year to EGP 772m during the 2010-2011 fiscal year. Rates fell further during the 2011-2012 fiscal year, reaching EGP 421m, increasing slightly during the 2012-2013 fiscal year, reaching EGP 488m. The Ministry’s revenue rates also decreased by EGP 12m in July 2013, 80% year on year compared to the 2009-2010 fiscal year. Rates in August dropped even further, totaling just EGP 3m. According to the minister, the antiquities sector does not rely on state funding, rather on entrance fees paid by tourists visiting museums and historical landmarks. He stated that a number of repair and restoration initiatives for hotels were scheduled to be undertaken within the coming months. These initiatives will consist of land owned by the ministry being made available for purchase under usufruct schemes. State agencies will help in implementing the initiatives in exchange for a share of revenues. Ibrahim said that the ministry has accumulated a total of EGP 869m in debt, in addition to EGP 300m in dues owned to contractors and the Armed Forces National Service Products Organization. He called on the government to pay dues owed to contractors in order to help expedite the implementation of currently stalled projects. He stated that the ministry was cooperating with all concerned state agencies, primarily the Ministry of Tourism. He added that the revival of Egyptian tourism would be beneficial and help increase the Ministry’s revenue rates. According to statistics released by the Ministry of Tourism, Egypt attracted a total of 5.9 million tourists during the first half of the current year, bringing in a total of $4.4bn in revenues. However, tourism rates began to dip once again after the ouster of former President Mohamed Morsi, dropping by 24.5% in July and 35% in August. He stated that the ministries of tourism and antiquities were cooperating very closely in an effort to increase revenues reaped from fees paid at historical sites and landmarks by 25%, saying that the two ministries agreed last July to increase the rates of such fees. For the last three years, workers within the country’s tourist sector have demanded that this decision be postponed. At one point, the decision was scheduled to be implemented at the beginning of May 2013, but was then postponed two months and implemented in July. Ibrahim stated that the ministry is seeking to cooperate with the Egyptian Tourism Federation to provide collective ticket packages as a means of attracting additional tourists, saying that Egyptian tourist companies will be provided a 10% discount on such packages. Despite their potential benefit, Ibrahim added that such packages can still be exploited for the benefit of companies. Many tourist companies, for example, who obtain such packages at a 10% discount, end up reselling them to customers at a 5% discount, thus collecting a profit. The Ministry stated that it had initially proposed such packages as a means of attracting larger numbers of tourists and in turn increasing state revenue rates. Ibrahim stated that the Ministry will seek to implement conditions on the sale of such packages. Companies who obtain them will be required to resell tickets to tourists within three months. If they fail to do so by the specified deadline, they will be required to return to the tickets to the Ministry of Antiquities, with a 5% fee deducted from the price of the tickets, to be borne by companies themselves. Ibrahim stated that despite the political turmoil, Egypt continues to receive technical support from UNESCO. On the contrary, he said that aid had, in fact, increased after the breaking in and looting of the Mallawi museum last August, which resulted in the theft of 1,089 antiques and artifacts. UNESCO released photos of the stolen artifacts in order to prevent them being trafficked outside of Egypt and provided the necessary funding needed in order to repair damaged parts of the museum. Throughout September, Ibrahim has worked with the Chairmen of the French and German cultural institutes to search for ways to obtain additional international funding for such projects, in addition to working to convey a more accurate image of the state of Egyptian politics and tourism to the people of both countries. He added that an international press conference will soon be held for this purpose. Ibrahim said that the Ministry was currently in need of aid in order to help obtain improved security technology to be installed at museums and at other historical sites. He stated that despite travel bans issued by many countries warning against visiting Egypt, the citizens of such countries were still interested in seeing Egypt’s various historical sites and landmarks. He added that many countries were still willing to cooperate with the Egyptian government, even after the forced dispersal of sit-ins and Rabaa Al-Adaweya and Nahda squares. He added that the ministry has also begun to re-evaluate and assess the quality of museums located within the Red Sea and South Sinai provinces. 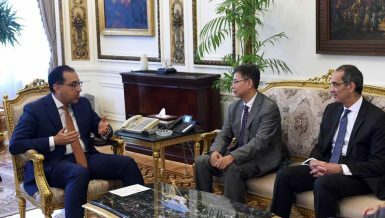 Ibrahim further discussed plans to finish construction of the second branch of the Egyptian museum located next to the Giza pyramids by 2015. When finished, the museum will be considered the world’s largest exhibition of Pharaonic history, a total of 117 acres of land, the size of six football stadiums. The museum will be expected to be able to host 5 million tourists. “We hope to complete construction of the museum soon by the specified deadline,” he said. Ibrahim admitted, however, that implementation of the project currently suffers from a lack of funding. Ziad Bahaa El-Din, Deputy Prime Minister and Minister of Planning and International Cooperation, has agreed to assist the Ministry of Antiquities in helping to obtain funding. The Ministry of Planning and International Cooperation has agreed to provide EGP 140m at the end of the current fiscal year to help fund the project. Ibrahim said that the ministry is also seeking to obtain a comprehensive loan from the Japanese International Cooperation Agency (JICA), which, if obtained, could cover 50% of the costs of the project. He added that negotiations are underway, but procedures involved in obtaining the loan are long. The cost of establishing the museum is estimated to total $792m, with the JICA loan itself taking the form of a $400m soft loan. Ibrahim further stated that he was seeking to amend the legal nature of the project’s special contract in a way that will be beneficial for all parties involved, including the Ministry of Antiquities and those companies tasked with the museum’s implementation and construction. One of these companies includes the Orascom Construction Industries subsidiary BESIX group.